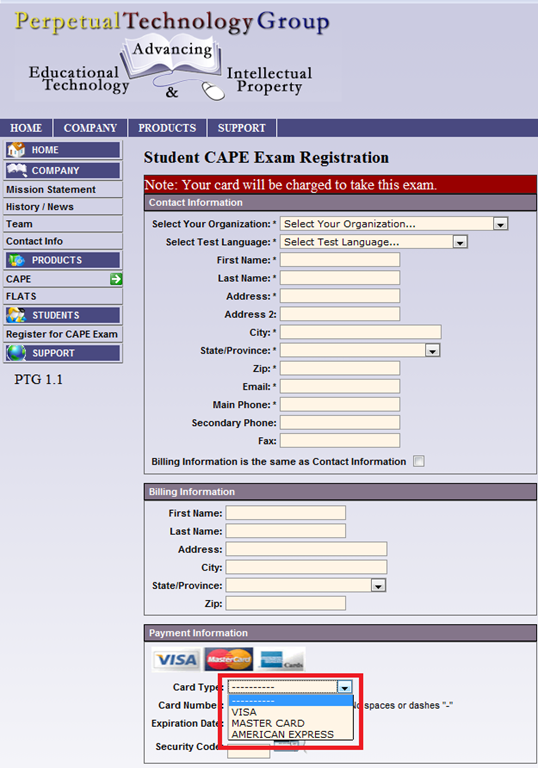 “The Online Placement Exam is designed to help you determine the first course you should take, based on your ability. This multiple-choice [no speaking, listening or writing required] exam presents questions of different ability levels, adapting the next question’s level according to your answers. The number of questions you will be required to complete depends upon your ability to use the language. The duration of the test varies, but it usually takes 15-20 minutes to complete [but can be finished after only 4 questions, and we will give you up to an hour time to complete the exam]”. The proctored exam takes place in the LRC (COED434). The exam schedule is published in the LRC COED434 calendar. Read more on how to view the LRC calendar from within the new NINERMAIL. 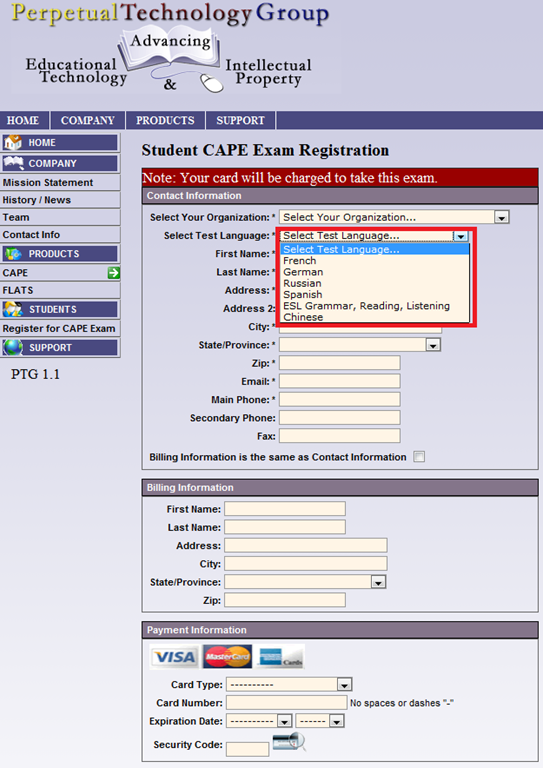 Then choose your language – note that UNCC only allows testing in French, German and Spanish. 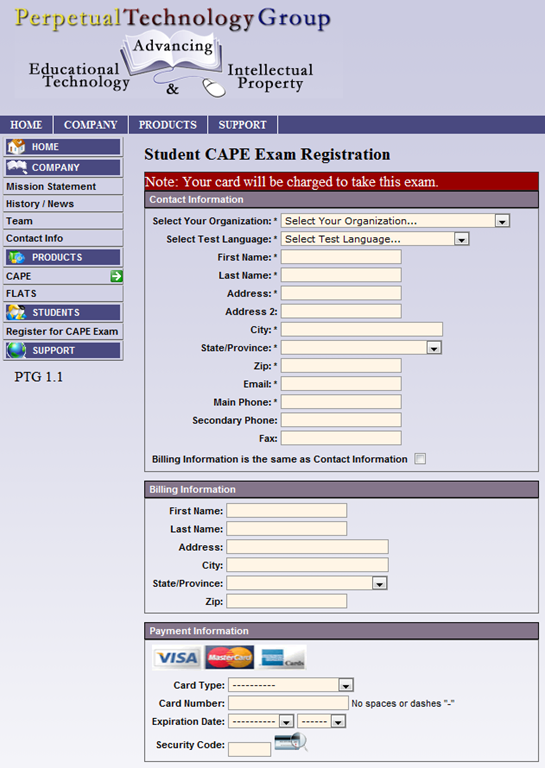 Fill out the other form fields with your information. 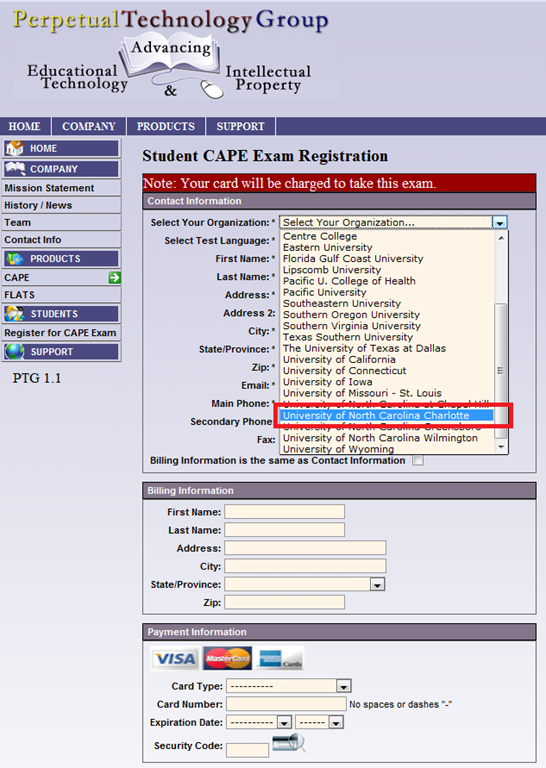 Next, you will have to enter your NINERNET student id number. The exam results will eventually go to your file. However, they will have to be post-processed by the department. Do not take the exam without coordinating with the Department of Language and Culture Studies, or else your exam results will get lost! Remember that you can repeat the placement test, even though the number of retries per languages is limited to two (your score will get invalidated after that!). Remember also that is not advisable to study for (let alone cheat during) a placement exam, or else you will get placed into a course that is not right for you. 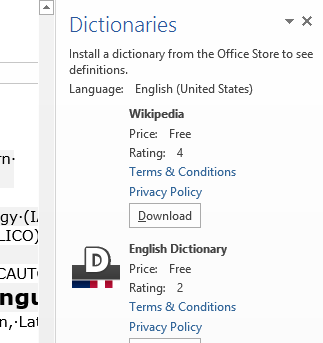 Arabic character input tools in the LRC: MS-Maren and Fontboard-Arabic Updated Microsoft Collaborative Translations Framework useful for translation exercises?